100%new high quality plain and simple 925 sterling silver bracelet. Aesthetically Elegant neatly design with perfect finishing. Bangle for both casual and formal. Goes with every look, can be carried on parties, wedding etc. It is an awesome gift for friends and family. Material: 925 Sterling Silver Plated Copper. 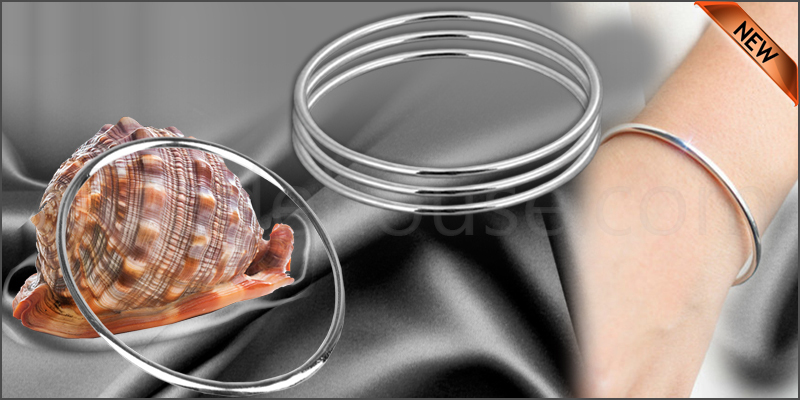 1x 925 Sterling Silver Bangle.